A Look Into the Future – Compatible Zodiac Signs For Cancerian Brides! Do you read the newspaper backwards just to read your horoscope before anything else? Is your daily horoscope subscription on email the first thing you check in the morning? Is the ruling planet of your sun-sign determining the acts of your day? If your head’s been nodding YES to all of these questions then you’ve reached the right zodiac marriage horoscope blog! The Cancerian bride is fun-loving, creative and loyal – a combination hard to find. And we think it's pretty hard to match a girl so great! Hence, we decided to jot down THE BEST groom zodiac signs for cancerian brides - take a look here! These two zodiac signs get each other and how! They not only work well together because they have a strong physical connection but an emotional one too. 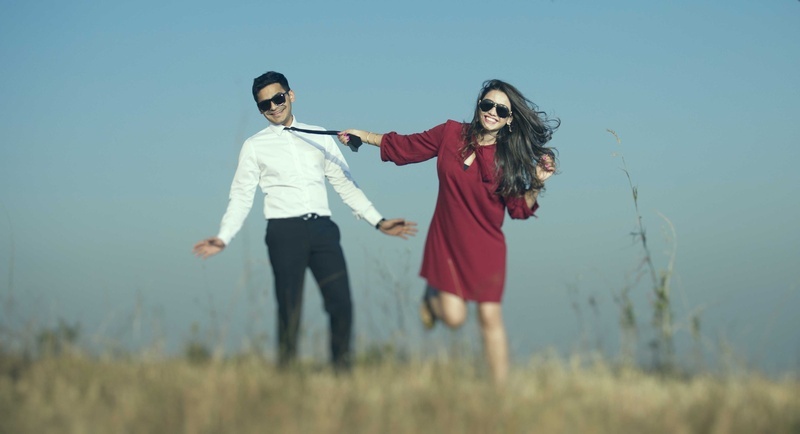 Understanding and trust being the main key to make any relationship work, they thrive together in this these very characteristics in making their relationship a priority above anything else. Their common need for security and feeling of mutual dependence in the important aspects of life is something that makes their bond grow leaps and bounds! Because of their contrasting nature, their differences are actually beneficial – each complementing the other’s weakness and strengths. With that being said, if you’re a Cancerian bride the finding a Taurean groom is highly favourable for you. He will match up to your sense of security and yet be the fun-loving person you’ve always dreamed of being with! Two water signs that have a beautiful cosmic connection! Knowing who just the other is and taking pride in THAT very fact. Each sign has a very real grip on life and the situations they face which makes it very easy for them to develop a strong, lasting relationship. Even though a Cancerian bride is sometimes moody and pessimistic, Pisces are usually selfless and will go out of their way to do anything for the people they love. While sometimes Pisces are emotional and over-sensitive, the Cancerian trait possesses a very strong sense of nurturing and comforting – thus creating a relationship that benefits the other mutually. One word – CARE. What else does one need in making a marriage work? These two zodiac signs are all about the care. This extreme need to care and be there for one another is the best part of their relationship. From their inmost being, both these signs delight in looking after their loved ones and making sure they always have each other’s back. Despite the fact that Virgo always speaks from a practical standpoint, while Cancer is more emotive, this turns out to be one of their best complementing traits. The sentiment of the circumstance they’re facing with the practicality of the solution results in makes them a force to reckon with! Nurturing each other’s passion for work, love and life in general they work beautifully together as a team! Constant support and encouragement for each other result in a unity and bond like no other! Deeply devoted to one another, both zodiac signs, Cancer and Scorpio share similar interests, morals and there is a shared, implicit intimacy which makes this couple diminish any misunderstandings and keep problems to a minimal effect. Scorpio and Cancer have a special kind of chemistry when it comes to the bedroom – these two cannot take their eyes off each other and have great chances of a “love at first sight” kind of story. Opposites attract but similar minds can whip up a storm together! Two Zodiac signs coming together in marriage tend to be very, very attracted to each other. Being in the same sun-sign they sometimes clash becasue of the mutual moodiness and stubbornness, but also their love for each other take over quite quickly! The turmoil and hurt that life throws at a Cancer & Cancer couple teaches them to be strong, and help become equipped to face any circumstance.